Go to your Google Calendar page in your browser. Now your calendar will appear in your "Other Calendars" list (lower left) and in the main view of your calendar. It will be named according to the link (starting "http://www.prayermate..."). If you want to rename it or change the colors, just click on the triangle to the right of that and then alter the settings to fit your preferences. 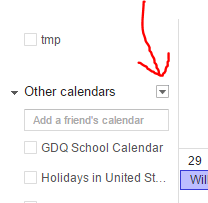 You can click on the triangle to the right of the calendar and choose "Display only this calendar". Then afterwards you will have to click on your other calendars to make them visible again. 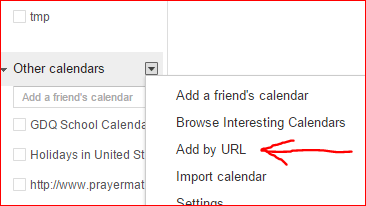 You may find that it is easier to read our prayer requests in the "Day" or "Agenda" view of Google Calendar - you'll find those buttons in the upper right of the main calendar page.